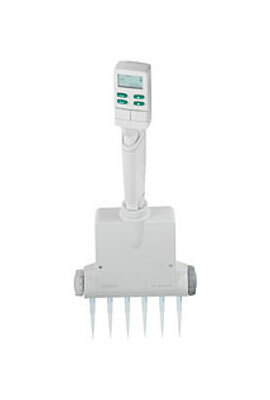 The new EDP3-Adjustable Spacer allows you to increase your productivity by enabling you to use a multichannel pipette that can change the format spacing – going from 24-well to 96-well at a twist. The EDP3-Adjustable Spacer offers all the benefits of the regular EDP3 system, from precision to comfort to LTS®, but with the added flexibility of being able to set the distance between the channels yourself. Includes Li-ion battery- wall charger or rapid charging stand sold separately.